When all else fails, the easiest way to get into the St. Patrick's Day mood is to make something green. 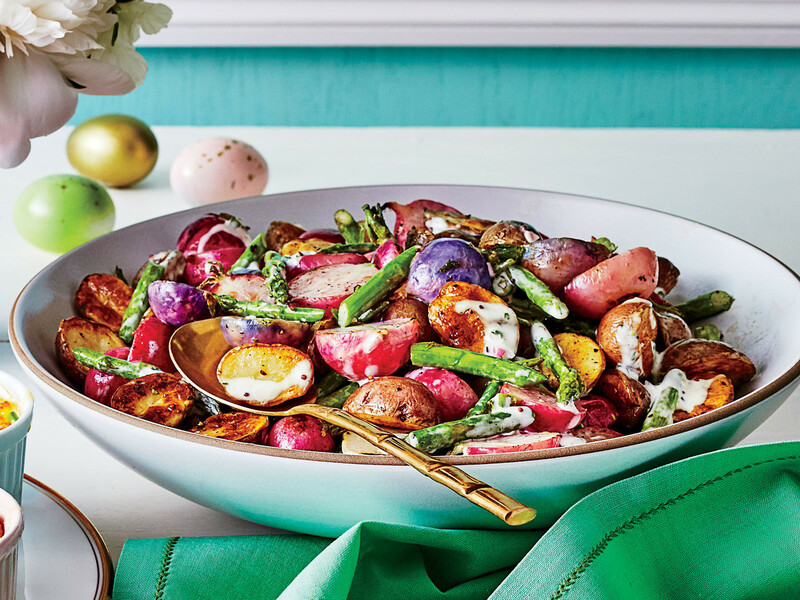 From minty cupcakes to enchiladas verdes to chimichurri, there's plenty of delicious ways to liven up a meal with a pop of bright green color. All green everything—that’s the theme of this vibrant, eye-catching fruit salad. 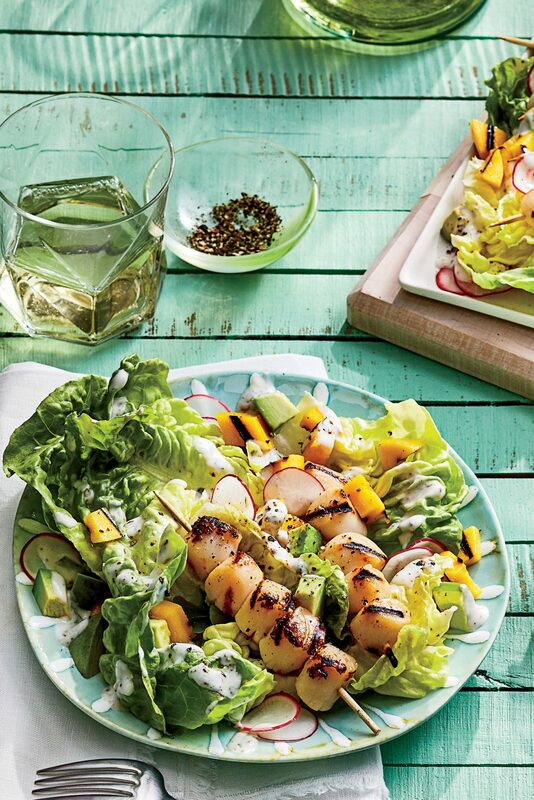 Honeydew melon, Granny Smith apples, Bartlett pears, green grapes, and avocado are unified with a delicious honey-Dijon dressing to create what may very well be our favorite fruit salad of all time. A perfect balance of sweet, salty, and tangy, this monochrome masterpiece is sure to become the talk of your table and likely a new go-to for any level of entertaining. Though we find it to be a delicious addition to such a refreshing, dynamic dish, feel free to leave out the jalapeño if you want to skip the touch of heat. Tahini is a paste made of ground sesame seeds and it’s the ingredient that gives hummus its distinct toasty flavor. Tahini is an incredibly versatile ingredient lends a rich nuttiness wherever it goes—which is why we love it as the base for this vibrant, herb-based sauce. Balanced with lemon juice and bright herbaceous flavors, tahini shines in this addictive, bright-green condiment you’ll find yourself coming back to again and again (with a spoon in hand). The Green Tahini Sauce pairs exceptionally well with fish, and we especially love it with flakey pan-seared cod. While not technically “necessary” basting the fish with butter as it finishes cooking adds another layer of subtle richness. Plated with a generous dollop of the green sauce, this simple pan-cooked cod finds its perfect match in the sauce’s velvety texture and dynamic flavor profile. As impressive as it tastes, the Green Tahini Sauce could not be easier to whip up, simply toss all of your ingredients into a blender and process until smooth. The cumin adds a touch of smokiness, but if you aren’t a fan of the spice, feel to omit it. You can thin the sauce out to your desired consistency by adding water to the blender, a little at a time. Of course, you may not want to thin it out too much as the leftover green tahini sauce can also be used as a dip for your favorite vegetables and crackers, perfect for serving on a crudite platter or snack dinner tray. You can also use the sauce as a spread for sandwiches and toast. Store this green goodness in you refrigerator for up to 1 week. Let servings of Avocado Pea Soup with Herb Oil aid in optimizing your diet. Most green fruits and vegetables, such as avocado and peas, are loaded with lutein and zeaxanthin, carotenoids that protect against eye disease and skin cancer. Prep: 20 minutes; Cook: 20 minutes. Tomatillos and fresh chiles give this salsa a bright, "green" flavor, and toasting the ingredients contributes a smoky element (plus it loosens the chiles' skins). Mexican cooks traditionally use a griddle or comal to toast salsa ingredients, but a broiler chars the chiles more evenly. Made with fresh tomatillos, serrano pepper, cilantro, and avocado, Avocado Salsa Verde will be a hands-down favorite with party-goers. Serve Avocado Salsa Verde with your favorite chips or with our Beef Empanadas. Skip red enchilada sauce in favor of homemade chili verde in this Mexican classic. The heat level of poblanos can range from mild to spicy. Removing the seeds lessens the kick. Serve Green Tomato Salsa as an appetizer with chips or a topping on Green Tomato Chile Verde.